Olga Grushins astonishing literary debut has won her comparisons with everyone from Gogol to Nabokov. A virtuoso study in betrayal and its consequences, it exploresreally, colonizesthe consciousness of Anatoly Sukhanov, who many years before abandoned the precarious existence of an underground artist for the perks of a Soviet apparatchik. But, at the age of 56, his perfect life is suddenly disintegrating. Buried dreams return to haunt him. New political alignments threaten to undo him. 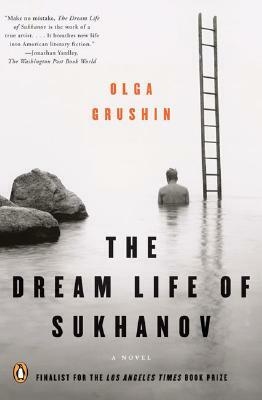 Vaulting effortlessly from the real to the surreal and from privilege to paranoia, The Dream Life of Sukhanov is a darkly funny, demonically entertaining novel. Olga Grushin was born in Moscow in 1971. She studied at the Pushkin Museum of Fine Arts, Moscow State University, and Emory University. Her short fiction has appeared in Partisan Review, Confrontation, The Massachusetts Review, and Art Times. This is her first novel. Grushin, who became an American citizen in 2002, lives in Washington, D.C.